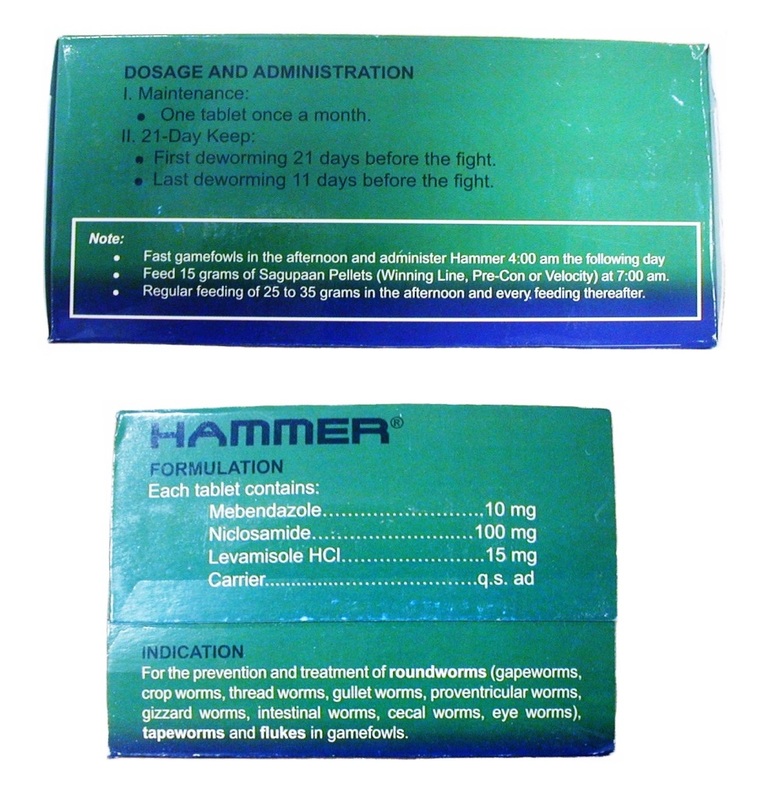 Hammer Wormer tablets. 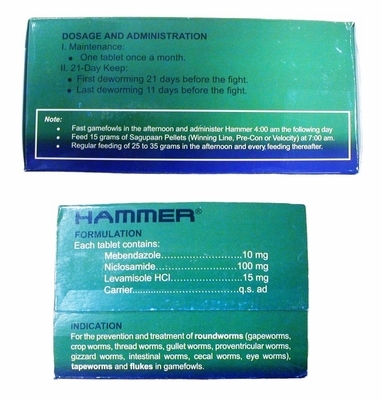 Come in blister packs of 10 tablets each. 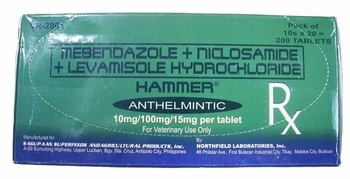 A full box is 200 tablets, BUT WE ARE SELLING IN MULTIPLES OF 50 tablets (5 blister packs of 10 tabs each). 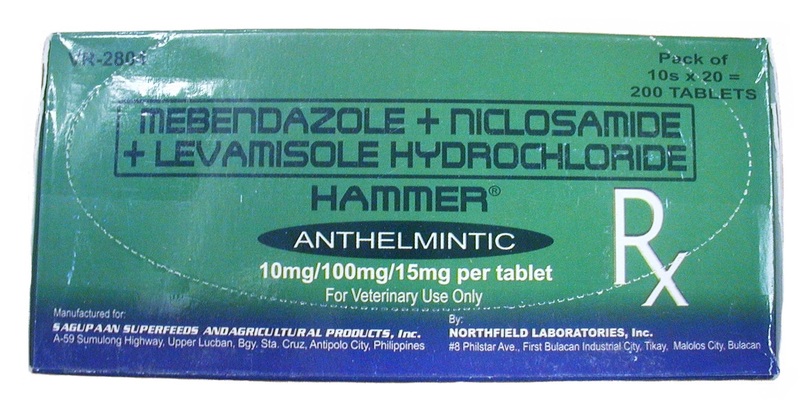 Fast for 20-24 hours, give tablet, feed 1/2 oz. of feed 3 hours later, start feeding like normal 8-24 hours later.